Monster Spectacular and the World’s Best Monster Trucks are ready to invade Summerside again in 2018 ! 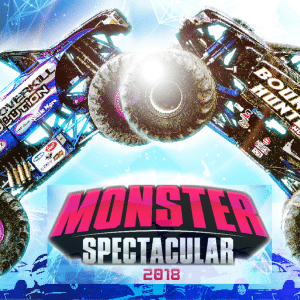 Fresh on the heels of sold out shows in Canada, the Monster Spectacular show will be roaring into Summerside’s Credit Union Place on Friday May 18 – 2018. Fans will see some of the biggest, baddest monster trucks on the planet rattling the roof of Credit Union Place. The adrenaline will be pumping when freestyle motocross motorcycles fly 30ft in the air, performing the most incredible tricks imaginable.